In conversation with Jiten Mahendra, V P Marketing, Max Fashion, who spoke about his optimistic approach of targeting omni-channel route for Max Fashion. Continuing its fourth inning with Elite Model Look, Max Fashion is actively engaging in the process of Elite fashion model hunt while supporting the initiative with its fast fashion merchandising. This yearly engagement with the prestigious model selection process by Elite has resulted into 20 percent top line sales growth for Max Fashion. Also, the brand is aggressively focusing on its retail expansion by opening around 50 stores this year of which 36 are already operational. It is focusing more on metros, state capitals to tier I to III cities along with projecting to have 67 percent growth from its eCommerce platform by 2019-20. 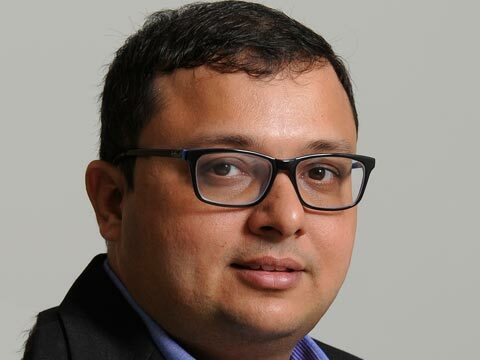 Thus, further talking about Max Fashion wanting to be a true omni-channel player, right from digital to brick and mortar, Jiten Mahendra, V P Marketing, Max Fashion spoke to Indianretailer.com. How has been the fourth year with Elite fashion model hunt? This year is been quite encouraging. In the first year we had around 200 entries. Last year we had around 1000 participants. Modeling in India is not treated as a full career profession, it’s always midway or sometime around. YOY how is Max fashion leveraging the image of Elite fashion model hunt? Elite fashion model hunt contributes 20 percent of our business and it is growing at a 100 percent rate YOY. It is very critical for the brand and is extremely high in driving exhibition, consumption. In collaboration with Max is democratizing fashion and that’s where probably it’s playing very important role when it becomes an authentic platform. We have received YOY sales growth of 18 percent, which overall reaches around 32 percent. How is Elite model look renovating fast fashion with Max? There is a component of fast fashion in our business and Elite model look renovates with the fast fashion. What we are talking about is more of a mindset and environment where people relate the brand with elite model look. It’s not only about wearing the fast fashion merchandise, but it’s also about appreciating the fact that modeling is a career which youth can pursue. It not just selling garments alone, Max is replicating to achieve you being a model. Elite is a pure modeling agency, they are not into the business of fashion. They are into the process of talent management. What is the amount of investment you have allocated for the marketing from the max and elite perspective? The marketing is a variable cost. It is based on the number of marketing activities we do. We allocate three to four percent of the turnover for the marketing. Last year our top line was Rs 2400 cr and we are targeting Rs 3000 cr this year. Simultaneously what is the pace of your retail expansion? Currently we have 117 stores. We opened around 30 stores last year and further we plan to open around 50 stores this year. In fact 36 new stores we have opened this year, which is around 2.03 mn sqft. These stores will be in top seven metros, state capitals and tier I, II and III cities. The investment per store is based on the proposition and based on the various factors like location of the store. Approximately Rs 3cr of capital goes for per store and it is spread across from 10-12,000 sqft. Out of all 30-40 percent of our stores are run by franchisees. What is the break even timeline per store? We keep one to two year time frame for break-even. There is a regional level and national level break even. For us every store should be profitable. In the coming two to three years we want to be seen as true omni-channel player right from digital to brick and mortar. We want to be the one stop destination for family shopping. How much does online contribute to your revenue? We started our ecommerce portal last year, so currently it is at nascent stage. But, going forward by 2019-20 we are looking at 67 percent contribution coming from online. How is been the competition in the market and what will be the strategy ahead? Competition is always healthy and it helps us to recreate and rethink about it. With ecommerce boom people are consuming more and more fashion and it is good for us. We look at competition as a far bigger opportunity. The market is getting developed because of the industry as a whole.